That's it for this week on Business Live - thanks for reading. We'll be back bright and early at 06:00 on Tuesday. On US markets, the Dow Jones Industrial Average ended 0.8% higher to 25,650.88, while the broader-based S&P 500 jumped 1.5% to 2,783.30, and the tech-focused Nasdaq was 2% up to 7,558.06. Despite Boeing's sharp losses when the session began, investors were comforted by comments made by Federal Reserve chairman Jerome Powell, who reiterated that the central bank would be "patient" before raising interest rates again. The Washington Post has done the analysis no-one else bothered to on Trump's time savings from calling Tim Cook of Apple, Tim Apple. Now some Apple news that isn't about Tim Cook. The company, in its usual way, is summoning journalists for a product launch on 25 March. It is widely rumoured that this will be the launch of Apple's steaming TV competitor to Netflix. The company has been quietly commissioning and buying shows. Advisers who made commissions by telling clients to buy more expensive investments will give back more than $125m to investors, the Securities and Exchange Commission announced, according to the FT. The regulator has made settlements with 79 advisers who didn't lay bare how they earned their fees, the newspaper said. American chip and graphics card-maker Nvidia will buy Israeli chip designer Mellanox Technologies for $6.8bn, beating a bid from Intel. The deal will help Nvidia expand its artificial intelligence business. It is paying in cash for the business. Euro zone finance ministers could send €750m to Athens if it completes reforms agreed with creditors by April, the chairman of euro zone finance ministers Mario Centeno said. "If all commitments are met, we will consider in April further implementation of agreed debt relief measures," Centeno told reporters. The Financial Conduct Authority has plans in place for a financial war room to take action in the event of a no-deal Brexit. The war room will keep a close eye on the IT changes that will be required over the weekend following 29 March. It is understood that the regulator will keep in close contact with leading City firms to watch for potential disruption in the financial markets. The FCA will also liaise closely with Whitehall and Threadneedle Street. US Transportation Secretary Elaine Chao said US regulators are reviewing the fatal crashes of two Boeing Co 737 MAX 8 planes "very carefully". She met with the Federal Aviation Administration's acting chief to review both the Ethiopian Airlines crash, which happened on Sunday, and October's Lion Air crash. French prosecutors are asking questions about the lavish wedding party of former Renault and Nissan chief Carlos Ghosn at the Palace of Versailles. Part of the bill was paid by Renault, a legal source told newswire AFP. Renault said last month that the chateau had waived the usual €50,000 euro (£42,500) rental fee for the do under a sponsorship fee signed a few months earlier. European Commission President Jean-Claude Juncker and Theresa May will meet in Strasbourg at 20:00 tonight for a final discussion before Tuesday's big vote, Commission spokesman Margaritis Schinas said. Legal firm DWF has unveiled the details of its stock market flotation. Its shares will be priced at 122p each, valuing the whole of the firm at £366m. DWF will raise about £95.2m through the float, with up to £10m of that being invested in new IT systems. Chief executive Andrew Leaitherland said: "We are delighted today to be announcing our successful IPO as DWF becomes the first main market premium listed legal business. "We see substantial, long-term opportunity to build on our strong track record and further develop and grow." The FTSE 100 index closed higher by 26.31 points, or 0.37%, at 7,130.62. The gains in the index were kept low by as stronger pound as traders gambled on a fresh Brexit deal being presented to Parliament this week. 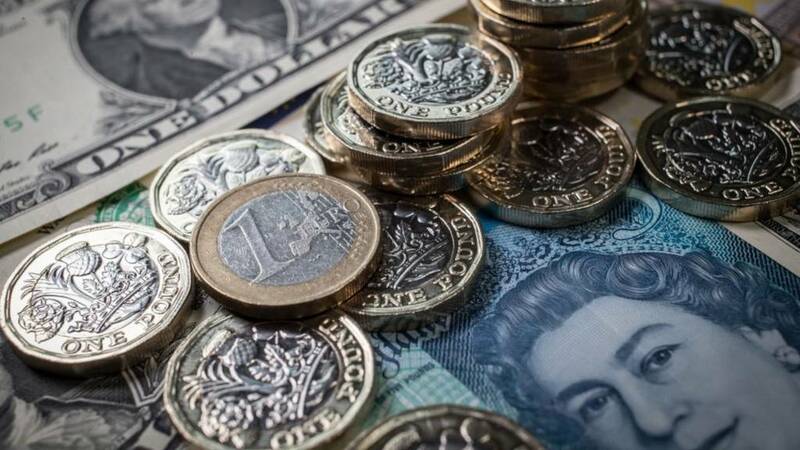 The pound climbed 0.94% on the euro to 1.169, and was up 0.94% versus the US dollar at 1.314. Former Lloyds Banking Group chair Sir Win Bischoff says he will stand down as chair of the Financial Reporting Council in light of the overhaul of his regulator. Deputy Chair Gay Huey Evans will also step down in April. In line with the consultation document we believe the speedy implementation of the recommendations can help increase public confidence in audit in the UK. We will move forward to implement the agreed proposals as soon as possible. Lawyers for technology firms Google and Intel will testify before the US Senate Judiciary Committee tomorrow to discuss how consumers choose what data to share. The committee's hearing will examine "the impact on competition and innovation" relating to the EU's General Data Protection Regulation (GDPR). Swiss bank UBS has been criticised by some of its top female bankers over its practice of using their maternity leave as a reason for imposing long-term cuts to their bonuses, according to the Financial Times. The bank pledged to address the issue more than a year ago, but according to the newspaper some women continue to be affected. "It is extremely important to us that employees with similar roles, performance and experience are rewarded equally and fairly. "We approach the issue of parental leave proactively and systematically during the reward process to determine whether there are gaps and to close those gaps if we find any," UBS told the FT. Forecasts of how much oil and gas could be produced by the UK offshore industry have been revised upwards. The industry regulator now believes 11.9 billion barrels will be extracted by 2050, up from an estimate of 8 billion four years ago. So far 43 billion barrels of oil or its gas equivalent have been extracted from UK waters. The new prediction is driven by lower production costs, technical advances and 30 new fields coming on stream. More on the end of the Financial Reporting Council. It will be replaced by the less-than-catchy Audit, Reporting and Governance Authority. It will have the power to make direct changes to accounts rather than having to apply to court to do so. It will have "a new, diverse board and strong leadership to change the culture and rebuild respect of those it regulates," according to the government announcement. The Financial Reporting Council is to be scrapped and replaced, according to Business Secretary Greg Clark. It is currently in charge of regulating auditors and overseeing governance matters, but it has been criticised for being weak and having - or using - few powers of sanction. Assistant Secretary-General for the Environment at the UN Satya Tripathi has been on the World News channel. The Ethiopian Airlines flight that crashed on Sunday with no survivors had UN workers onboard.